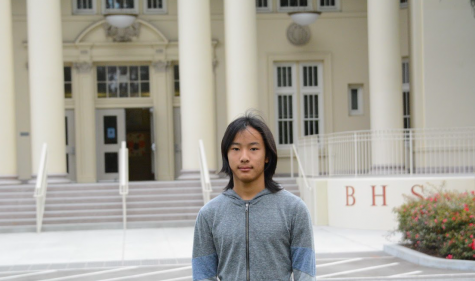 Hubert Chen is a sophomore at Burlingame High School and a first year student of Journalism. Outside of school, he enjoys participating in the BHS robotics team, playing video games, and camping. Hubert enjoys lots of music from the 20th century, ranging from bands such as Chicago all the way to Metallica. Since he is still a small and undeveloped human, Hubert is not sure of exactly what he wants to do with his life but has shown lots of interest in the topics of engineering and robotics.